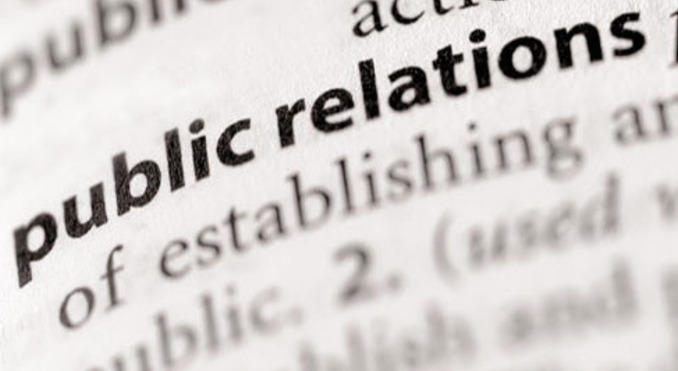 A good public relations campaign is imperative to a company’s success. Public relations isn’t just about earning fans or clients, it’s about embracing your target audience and giving them a reason to like your company. In order to gain a reputation, a business or individual must present themselves to the public in a way that makes them approachable. A company can have a great product but without a public reputation, they will struggle to be acknowledged. So what can you do if you are not lucky enough to have an infinite disposable income that will pay for a public relations agency to represent you? While the aim may well be to approach and engage a public relations agency further down the line, initially there are some things you can do yourself and capture some prized space in a glossy magazine and get the world’s attention, which in turn hopefully may lead to increased sales and new opportunities. A great way to meet people from the press, get them to see your product and connect is to have them all come to an event specially organised to celebrate the launch of your brand/product/new collection. You can do it as a small or big event, depending on your budget. If you do have the funds, plan the event down to the smallest detail and execute it to perfection. Get help organising it so that you can be relaxed on the day and focus on your guests. Capture the people who visit, capture the interest they show and follow up on it. One of the best and most effective ways to generate interest is through social media channels. Social media is affordable, easily accessible, and vital to every brand and if used right, and can be very effective. Decide which channels are best suited to your brand. Note that all will be good for you, but not all will be right for every occasion. Once you know which are the right channels, post your news and ask friends and family and professional contacts to share and help you spread the word. Follow up on any interest and conversations created. Sometimes a simple tweet leads to a press coverage in coveted titles. If you want your business to be successful you’ve got to look, act and behave as though it already is. Never refer to “ideas” or “plans” for the future as “when you expand” or “when you get funding.” Think of them as projects in hand and even if you are not actively ploughing money or time into them they are being worked upon, subconsciously at least. Sounds obvious, but these are more often than not the least-used two words. If you get written about even in a small but good way (and remember any press is good press) send a Thank You note to the editor or writer. It may be just what you need to make you stand out from the rest and open the door to more of the same (yes please!). If you get a really good piece of publicity, send a small gift to the writer. This can be something small you bought or a sample of your product. It is not what you give, but rather the thought that counts. Plan ahead! If you can plan for a six-month programme of activity in advance even in broad terms, it will help you focus your efforts and yield better results.